It appears as if a quick resolution to the issues surrounding the foreclosure mess for Bank of America will take longer to resolve than initially thought. While Bank of America is still trying to reach a settlement with mortgage servicers over alleged illegal foreclosure practices, it appears that Bank of America will have to pay a few hefty fines in the process. 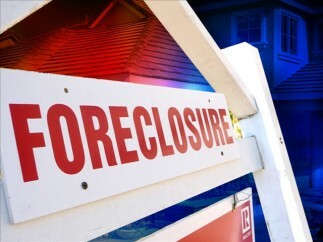 According to the Bedford Report, which examines the outlook for companies in the financial sector and provides research reports on Bank of America, the Obama administration is pushing for a $30 billion fine for banks such as Bank of America that have loan-servicing platforms to settle state and federal claims that these banks illegally foreclosed on homes. Also, as a part of the settlement, the government is also wants the banks to reduce the payments for borrowers who owe more on their homes than they are worth. Bank of America is being sued by investors who want the bank to buy back mortgage loans and pay damages on the homes that they illegally foreclosed. Countrywide, which is owned by Bank of America, was one of the worst offenders when it came to illegally foreclosing home borrowers’ homes. The lender is accused of making false representations on roughly 1,432, about 66%, of the 2,166 mortgage loans they investigated. It will be interesting to see what the final result is for these banks, especially with the federal government now pushing for large fines. Time to walk away from BOA and all other large banks! Most cannot be trusted! Switch checking accounts, savings accounts, CD’s, credit cards, mortgages (if possible), and all other loans to independent local community banks & credit unions for best results & benefits. You will be glad you did! Middle America is being negatively affected by the gross policies of BIG BANKS!